With the growth in highrise buildings, multiplexes, logistics, modern offices, malls, retail outlets, basement parking, underground metro stations etc, electrical installations in such locations play paramount importance in providing the comfort level of people living, visiting and working in such establishments. Of late, there have been several instances of fire accidents, most of them attributed to electrical short circuit and usage of improper cable systems. 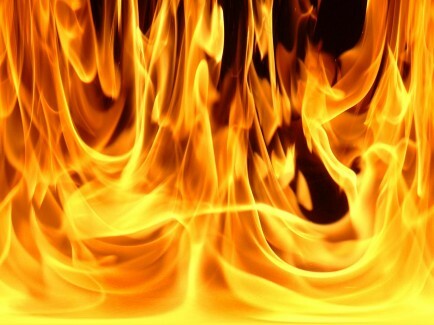 Fire accidents have become a major concern all over India disturbing the socio-economic life of people. Commonly the identified cause of death from a fire accident is due to the rush and stampede that occurs during escape and evacuation of people due to poor visibility, no lighting leading to darkness, compounded by emission of thick toxic smoke and fumes/acid gas generation, emitted by burning of cables, impeding the fire fighting efforts of fire extinguishers. Ignorance and negligence continue to be major cause of fire accidents. There are news on lives lost, property destroyed, people unsheltered, losing jobs as they get handicapped. And all this due to fire and also due to our choice of living with it. Is really God-gift life to us so cheap? Do we really not sense our surroundings? Why do we keep our-selves blindfolded to the reasons? Why do we not get a wave of change to our way of life with a small act? Why do we not answer our heart? Why don’t we look into the eyes of our child and say, ‘you are safe here, my darling’? Why do we compromise on important aspects knowing the consequences? I know why! Because there are chances that it may not happen to us. Hence the 50% chance of happening is ignored. And we prefer to live in dilemma. I had to write his blog getting into light what I have been reading each day early morning since years. There strangely have been fires in each and all place one can think of, leaving no place safe enough. Infact there have been fire accidents in the same place and area more than once. I am shocked by the audacity and simplicity and stupidity of our human brains. What we have to do are certain simple steps in atleast assuring ourselves that our family is safe by using good quality and certified cables. This is the most essential aspect. If the cable is good and we run in the chance of facing a fire, by the time the fire gets surged furiously we can take other measures and save ourselves and our family and property and home and office and all other places. Below are the fires that billowed smoke and lives and property stirring me to get some together at a platform which may serve as eye-opener to one and all. The above said fire accidents are just a little glimpse. Before we slip, we must do the icing on the cake and change our cables to a well trusted certified cable beyond our homes surface. Be a change to the world for the betterment of your off-springs. Wires and cables are an integral part of our daily lives and we kind of take them for granted without realizing there are companies who manufacture these wires and cables and ensure they are absolutely safe to use and offer long lasting durability. A cable is a combination of two wires that are bonded and braided together to form a single assembly. These electrical cables are ideally meant for transmitting electrical power in industrial locations and buildings. Wires and cables are of various kinds and we are manufacturers who offer a range of products under this category, which also includes low voltage control cables. It is imperative to mention that electricity is almost a basic necessity in the modern world. And to carry electricity, Electrical Power Cables are a must. It is extremely important that before you buy Electrical Cable, you ensure that it is in no way of poor quality and is certified as per the set industry standards. 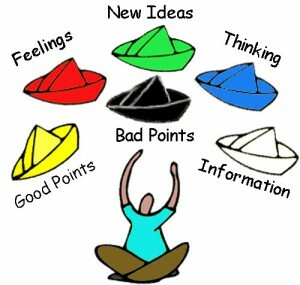 P.S: Please do wear on your different coloured hats to analyse the good (yellow) and bad (black), reason out to your own self, think for ideas (blue), look for information (white), feel (red) the anxiety towards the problem and come out with new ideas (green) to overcome it completely.